This page explores the concept of bullying in the workplace and how to respond to it more effectively. What this page describes may not fit with traditional ideas and approaches that are frequently used or stated in response to this common phenomenon but is based on experience of mediating in many workplace and other disputes where bullying has been seen as an issue and observing the ways people have created resolution in order to move forward in their situations. These direct experiences of situations where allegations of bullying in the workplace have been resolved inform the content of this article. The concept of bullying in the workplace is one of major significanceand yet most attempts to deal with it seem to involve a certain level of hypocrisy in that what is often sought as a response is a 'bigger bully to bully the bully'. One of the main challenges for someone who feels they are experiencing bullying in the workplace is the apparent need to 'prove it' - to prove that the behaviours they find difficult in another person are 'bullying'. This is where responding to these behaviours immediately becomes far more challenging than it needs to be and is a reason why bullying in the workplace has become an issue without an effective response. A person who uses strength or power to coerce or intimidate weaker persons. ..persecute, intimidate, oppress (physically or morally) by threats or superior force. Offensive, intimidating, malicious or insulting behaviour, an abuse or misuse of power through means that undermine, humiliate, denigrate or injure the recipient. Bullying or harassment may be by an individual against an individual (perhaps by someone in a position of authority such as a manager or supervisor) or involve groups of people. It may be obvious or it may be insidious. Whatever form it takes, it is unwarranted and unwelcome to the individual. Some people may say the definitions above are not ambiguous and are very clear. But let's remind ourselves that proving bullying in the workplace has occurred is a very difficult process to go through and many people feel 'let down' by systems that have not 'believed' them about their experiences and the actions of those they feel have bullied them. Whether people feel the definitions are clear and unambiguous or not, the outcomes of using them are rarely successful, and even if they are, they are immensely difficult to carry through. For me, this is the clearest indication of the ambiguity and subjectivity when interpreting behaviours as 'bullying' whether we believe the words and their meanings are clear or not. Unfortunately the reason the process for proving bullying in the workplace has occurred is so difficult is often blamed on managers and HR officers 'not doing their jobs properly', rather than on an acknowledgement of the impossibility of coming to an objective assessment of behaviour as 'bullying'. As a Mediator I have to work with 'what is'. Not what people think 'should be' or what they think 'others should be doing' about it, but what is actually happening in a situation and how those involved can create constructive change in the way they are responding to their situation. With bullying in the workplace, it is often felt that 'the bully should change' and so there is usually a focus on 'the bully' and how they should act differently. However, returning to the above point, it may not be agreed by the person accused that they are 'a bully' and so the expectation of them to change becomes a fruitless aim. When this is the sole objective of the person who feels bullied it becomes a desperate situation where they come to believe that the only way out of their situation is for the 'bully' to change their behaviour but the person they accuse doesn't feel inclined to do so, not least because to change would be an 'admission' that they are a bully when they believe otherwise. And without a clear agreement by the person that they are 'a bully' this path feels hopeless but somehow 'morally wrong' and so the intensity of the stress they feel increases the more they travel along it. In any unresolved conflict the focus tends to be on what can't be controlled - other people's behaviour - rather than on what we can control - our own response to that behaviour. In order to escape that desperate 'road to nowhere' and take a different path with a better chance of getting somewhere that helps to resolve the difficulties, there needs to be a letting go of the concept of 'bullying', whether by the individual affected or the organisational response and ideally by both, and a focus instead on what the behaviours are that the person who feels bullied finds to be difficult. The point being that because of the subjective interpretation of bullying the behaviours considered to be 'bullying' will be different for each person. For example, it is rarely considered that for a manager to be accused of bullying in the workplace is itself a very intimidating experience for them and to have a group of employees apparently 'ganging up' on them can just as easily be seen as bullying behaviour but because they are 'the boss' it is less frequently acknowledged as such. Why would the guidance need to give the qualifying statement in brackets? Employees can intimidate bosses just as much as the other way round. Not recognising this will lead to many bosses having to entrench themselves against accusations of bullying when such accusations themselves can be a symptom of a wider attempt to '…undermine, humiliate, denigrate or injure' them. This is not a fatuous plea to recognise 'bosses are bullied too' - the point is that various hypocritical actions follow from the requirement to 'prove' someone is a bully that undermine attempts to actually resolve the situation and the emphasis of 'perhaps someone in a position of authority' etc. underlines the preconception that 'bullying in the workplace' is carried out by particular 'types of people' who hold particular roles and therefore interventions in such situations start from a range of assumptions about 'what must be going on'. Those who feel bullied in their workplace will generally find others who agree with them but may not wish to accommodate views that contradict their sense of being bullied or propose different interpretations of the behaviour of the person seen as a bully. 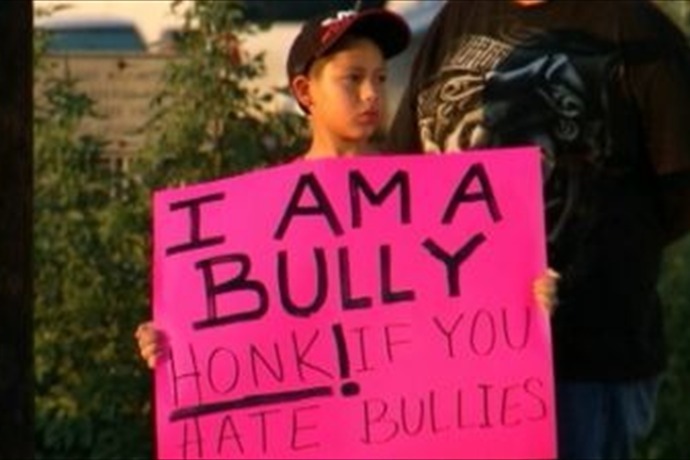 In such situations they may say 'everyone agrees' that the person is a bully. But when I have done group mediations involving allegations of bullying in the workplace by one or more persons there is not general agreement on this when I meet the team members separately, even though some claim there is. 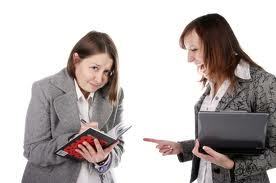 Indeed it is often the case that the person accusing someone else of bullying can be seen by team members as aggressive or harassing in their behaviour because of their persistence with their accusations. It can be difficult for team members to say this openly as that is seen as betrayal in something not felt to be directly affecting them, although any such situation usually does. In some situations, the isolation and stigmatisation of the person suggested to be 'the bully' does in itself fall just as much within interpretations that could be described as bullying as the actions they are alleged to have carried out, and so any actions taken at a later date by the organisation can struggle to make a clear case against the person without being subject to counter-allegations. This may be seen as a harsh and unsupportive view and has on occasion been misinterpreted as 'victim blaming'. But it is an impartial response to the situation that ultimately supports both the person(s) affected and resolution of the situation itself. As I mentioned earlier, as a Mediator I can only work with 'what is' from the perspective of those involved, and that includes the perspective of the person accused of bullying. The ineffectiveness of the pursuit of 'proof' of bullying in the workplace is a view I have based on the experience of working with many relationship difficulties in workplaces and in other contexts where an individual feels they are being bullied but have reached a place of despair in their attempts to be believed. Many in their workplace are sympathetic to the person's concerns but managers or HR officers who have to be clear about the 'proof' of bullying in the workplace are unable to substantiate the actions despite the clear distress of the person concerned. Additionally, any suggestion to a member of staff, whether a manager or colleague, that they are alleged to be a bully will usually lead to an immediate wall of defence - seeking representation, carefully crafted written communications, distancing from the person who makes the allegation, counter-allegations of harassment or of malicious attempts to damage their reputation. Indeed, this itself is a response that suggests a sense of being bullied or harassed or intimidated by the person accused and this is often what they express. And once this has occurred, very little can proceed with the claims of bullying nor with the working relationship between those involved. And this is all because of the word 'bullying' and the expectation that its existence be 'proved' within the working relationship of those involved. So what can be done differently? When proving bullying in the workplace has occurred is not the focus, it remains possible to have a discussion about the behaviours found to be difficult. There is not a wall of defence put in place as no allegation has been stated. Both participants are able to have a discussion, whether formally or informally and whether directly with each other or separately with a third party such as a mediator or conflict coach, about the different interpretations of the behaviours concerned. If one person does not wish to do so, the other can look at their own responses to the situation, whether that is the person who finds the behaviour difficult or the person about whom the complaint is made. Where both are involved in this discussion and reflection it is a situation in which mediation can be offered for supporting the creation of a way forward, and where only one feels able to engage in seeking a non-adversarial but self-assertive and self-supporting way forward, this is where conflict coaching is appropriate to offer. If you are finding this article on bullying in the workplace interesting and useful, Alan has written a short, practical book on this topic, available in paperback and on Kindle. How is this a more effective response to 'bullying in the workplace'? Within mediation practice we adopt a Principle of 'challenging/exploring the behaviour not the person'. If I call you 'a bully' it conveys nothing about what you have done that leads me to describe you that way. I may assume you know and that everyone else does, but what I think is being 'a bully' will be different to what many others do. You swear loudly over what I think are the smallest things and I think you are being aggressive when you do that. You bang the table when we have meetings and I'm worried you are going to become violent. You are aggressive and you swear all the time. You are violent in meetings. Such 'absolute' statements about another person are very likely to induce defensiveness in the person being addressed. While it begins to detail the actions that the person affected is concerned by, it still has further to go before it conveys the detail in a way that is not also potentially seen as aggressive and accusatory, and therefore easily portrayed as hypocritical and open to counter-allegations. These are behaviours and responses and ways of communicating that I see frequently within difficult relationships where accusations of bullying have been made. You shout at me when I get things wrong. Can you try to keep your voice lower if I get things wrong. I don't need to be shouted at and it doesn't really contribute to improving things if you do. It can feel like you are trying to humiliate me. Whether you are or not I don't know but it would just help if you spoke instead of shouting. Maybe you normally swear in how you express yourself, but it doesn't really help me to understand what you are concerned about. 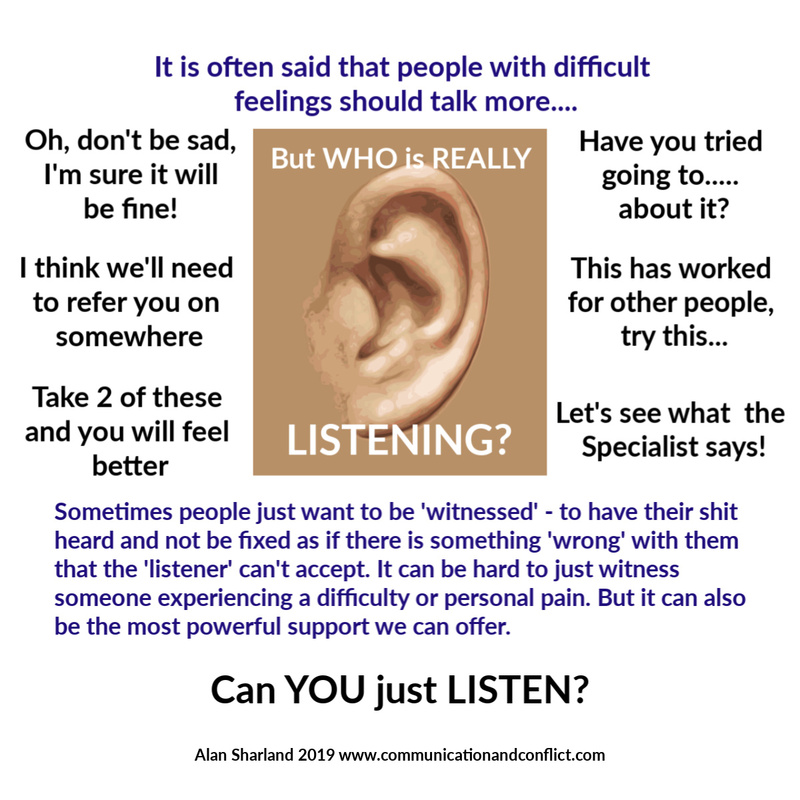 Can you let me know without swearing when you are concerned about something and I'll try to remedy the situation or, ideally, we can discuss together what we can do to sort it out. Swearing doesn't help me with that so for both of us to move forward can you bear that in mind? Why do you bang the table? It concerns me when you do that and, like with the swearing I don't see how it helps. Can you let me know what you want without doing that? The person being addressed may or may not feel inclined to engage with the requests being made but the person who has stated the requests has made a significantly more useful contribution to the situation than simply to accuse them of being 'a bully' and hence is far more likely to have a useful response reciprocated. These constitute more effective ways of responding by the person affected by (what they originally may have described as) bullying. Unfortunately the idea that someone who complains of having been bullied could respond more effectively is often interpreted as 'victim blaming' and so, even where they are able to support themselves more effectively this can be stifled and criticised by others as a response. Fortunately within a mediation, people are able to make their own choices about how to respond and by exploring/describing the behaviour not the person it is often the case that a more effective response is created. The responses still address the behaviour of the person concerned but in a way that is not accusatory nor at risk of being hypocritical and ultimately therefore, ineffective. The point is that in many situations where someone feels bullied, their own responses do not always help themselves with their situation. If, as a Mediator or Conflict Coach I explore with people how they have responded to those they consider bullies it is rarely the case that their actions have included anything other than being accusatory. As a result in many instances of allegations of bullying in the workplace, there can be a sense in the person accused that they have themselves been bullied or harassed or that there have been attempts to intimidate them. Once this competitive response to a conflict entrenches it can go nowhere that is constructive and will often lead to team breakdown and those involved eventually leaving the place of work because of the sense of continuous 'battling' instead of getting on with creative, productive work. Alternatively, managers may allocate staff to tasks they would rather not have to because it doesn't suit their skills but it is done to 'avoid a conflict'. This leaves both of those involved feeling aggrieved and unfairly treated as there is no real conclusion to the situation, it just festers and in the meantime affects others in the work environment. Trying to 'prove' bullying in the workplace has occurred, placing the onus on the person who feels bullied to provide evidence against the person they are complaining about. This risks causing the focus to be entirely on accusations and complaints, leading to risk of counter allegations of harassment, intimidation……bullying! The subjective nature of bullying in the workplace (note there is no legal definition of bullying!) means it is very hard for someone to fulfil the requirement of proving it, as well as for those who are supporting the person. Ultimately entrenchment of the problem occurs but the sense of frustration and difficult relations in the work environment continue and often increase. Attempts to 'avoid' it by reallocation of staff elsewhere is both ineffective and detrimental to productivity - and also risks unfair allocation of tasks, potentially leading to complaints from staff. Is this really the way to respond to 'bullying'? Focusing on what the experiences are of the person who is upset. Exploring, ideally with the person they are complaining about, what the specific behaviours are that they find upsetting and asking what they would like to be different. Engaging with the person complained about to see if they can meet the requests. This may be via mediation or it may be via a meeting with a manager or HR officer who is seeking to support resolution in this way rather than taking an 'investigative' role. Or, of course, those involved may themselves arrange a discussion to enable this approach, or communicate via letter or email or other means if direct 1-to-1 discussion is, at the time, inappropriate. If the person is able to meet the requests, a co-operative approach has been established to a 'shared working relationship problem' rather than a 'victim - perpetrator' dynamic where it may not always be clear which person is which. If the person complained about does not feel able to meet some or all of the requests, but the behaviours are unlikely to be seen as breach of any expected workplace conduct requirements, then help for the person who has made the requests in supporting themselves can be provided. This may be through conflict coaching or other means. This is not 'victim blaming' as if the conduct the person is unhappy about is not a breach of workplace requirements there will be no basis for identifying the person as a 'victim' in the first place. Any one of us can find others' behaviour difficult because of our own experiences and beliefs, but it does not automatically make it 'wrong', nor us a 'victim'. It is, of course, entirely possible that the person complained about may wish to have conflict coaching to help themselves explore how else they could conduct themselves in different situations if they are finding that some people are upset by their conduct. At the start of this article I expressed that what it proposes may not fit with usual expectations and approaches to the concept of 'bullying in the workplace'. I am not 'advocating' this approach of letting go of the concept, I am simply recounting what I observe to be the ways in which I have seen people move past the, usually long-entrenched, polarity of 'bully-victim' within mediations where originally the suggestion of its presence was a significant feature of the dispute. Many of the responses that seek to 'tackle bullying in the workplace' can just as easily be seen as bullying responses and so the message often seems to be 'find a bigger bully to bully the bully', which is clearly hypocritical and indicative of the fact that in this area of concern there is a need for some radically different approaches to those presently being used. If you are based in the UK and want support with bullying in the workplace, please visit this page to find out more: Bullying at Work Support from CAOS Conflict Management - we can help you respond in the way described on this page. If you are not in the UK but would like support, please visit our Conflict Coaching page which outlines how you can get one-to-one support via Skype. 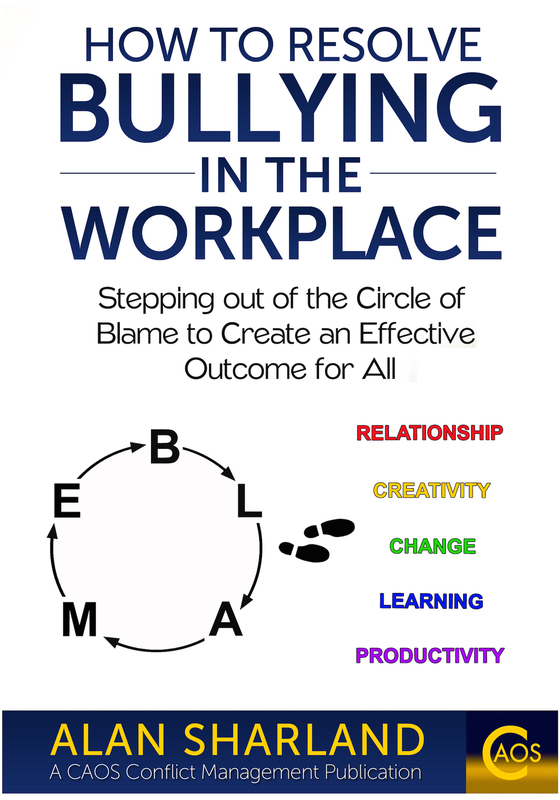 How to Resolve Bullying in the Workplace : Stepping out of the Circle of Blame to Create an Effective Outcome for All. 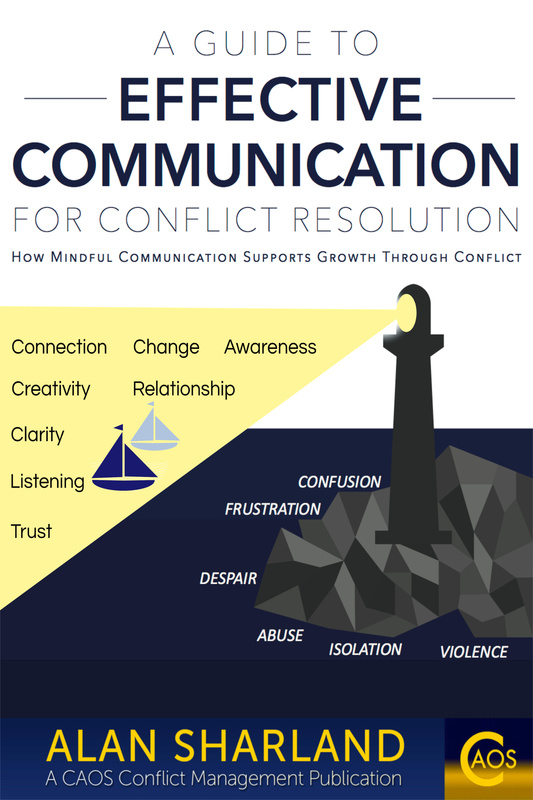 Do you want Conflict Coaching? Are you looking for 1-1 confidential support in dealing with an unresolved conflict? If you would like Conflict Coaching with Alan Sharland, please contact him via Skype at alan.sharland1 stating in your contact request that you are interested in Conflict Coaching so that the contact request can be recognised as genuine and not spam. If you don't use Skype it is also possible to connect via Apple FaceTime or Google Hangout. Alternatively, please contact Alan via the CONTACT page to make your request. There is a sliding scale for payment to allow access for clients having different income levels. The minimum fee is £40 per hour, increasing to the maximum fee of £150 per hour, applicable to businesses. Conflict Coaching support via Skype in situations where bullying in the workplace is an issue. Coaching is provided via CAOS Conflict Management where Alan Sharland is Director.